100 % organic quality? This is us! 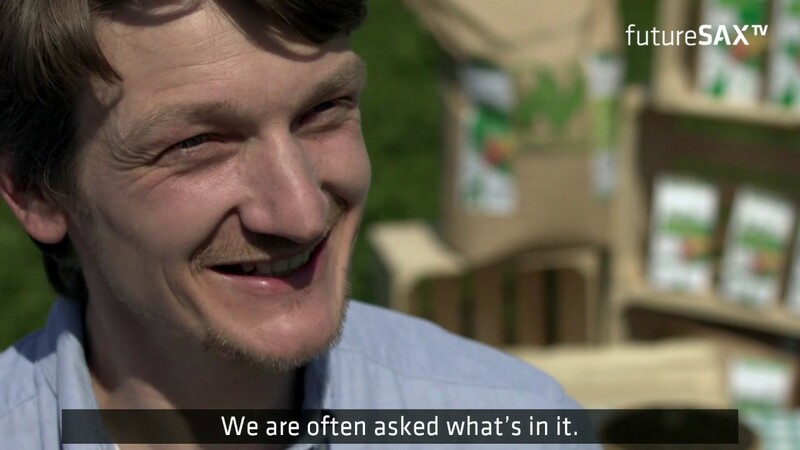 Grünerdüngen is operating on the organic market since 2017 and raises the bar for organic fertilizers within the organic product range: KleePura is the very first fertilizer being certified organic by an international association for organic agriculture, namely Naturland, as only KleePura meets the demands for being a truly ecological fertilizer. KleePura revives the idea of organic gardening and completes the concept of a holistically sustainable life and work ethic. With KleePura kids and adults, beginners and professionals growing fruits or vegetables in allotment gardens or on the balcony, turn into truly organic gardeners and experience how gardening itself presents itself as a solely organic sense of achievement. 100 % organic quality – that is something you are striving for? Retailer, wholesaler or gardener – no matter where you are coming from, we welcome you! Come, stopy by and see for yourself what KleePura can offer. We are looking forward to meeting you at BioFach 2019! With KleePura – The Organic Fertilizer our team has consolidated its long-standing experiences in both science and practice.. We are ready to meet the challenge to redefine what ꞌorganicꞌ fertilizer stands for. Thus for us, the organic approach does start right at the root, right in the soil – and not just on our plate when we share meals. We believe that you – young or old, unexperienced or professional, gardening in urban or rural areas – will benefit from our concept. We pave the way for you to become a truly organic gardener. … 100 % clover being certified organic and grown in Germany: KleePura is solely plant-based and uses the nutritional power released by valuable ingredients of indigene clover. … 100 % safety: Right from the beginning it has been our goal to establish a new standard for fertilizers within the organic product range. Therefore, since 2017 we conform to the strict directives stated by Naturland, the international association for organic agriculture which for the first time ever promises organic quality for a fertilizer. … 100 % fertilizing effect: KleePura ensures soil fertility, bountiful plant growth, reliable crops and intensive flavors for vegetables, fruits and herbs. … 100 % health: According to our approach, KleePura does not only focus on a productive soil life and vital plants. Healthy, high-quality and organic produce which will finally nourish you is the result of KleePura – The Organic Fertilizer – may you use it in your garden or your window box. Just like we have told you: Our organic approach does start right at the root, right in the soil! With KleePura – The Organic Fertilizer our team has consolidated its long-standing experiences in both science and practice. We are ready to meet the challenge to redefine what ꞌorganicꞌ fertilizer stands for. Thus for us, the organic approach does start right at the root, right in the soil – and not just on our plate when we share meals. We believe that you – young or old, unexperienced or professional, gardening in urban or rural areas – will benefit from our concept. We pave the way for you to become a truly organic gardener.